Nik Wallenda's skywalk went off without a hitch for Discovery, even though the ratings weren't as good as 2013's original. 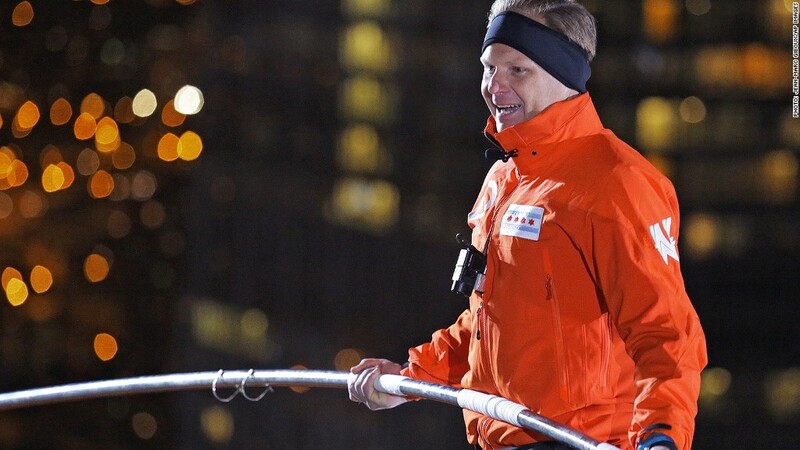 Unlike tightrope specialist Nik Wallenda, the Discovery Channel had to deal with more than gusty Chicago winds. The network's special "Skyscraper Live" had to compete with zombies and the NFL for ratings. The live event -- where the daredevil walked between two Chicago skyscrapers on a tightrope (once while blindfolded) -- drew good ratings for the cable network averaging 5.8 million viewers for the whole telecast, and 6.7 million during the blindfolded portion. These were big enough numbers to be Discovery Channel's most-watched telecast of the year. However, they were just half of Wallenda's 2013 audience for his Grand Canyon tightrope walk. That broadcast brought in 10.6 million viewers. November is a much more competitive month in terms of programming than June (when the 2013 special was telecast). The special had to compete with two of TV's biggest rating machines: the NFL and AMC's "The Walking Dead." NBC's Sunday Night football game between the Pittsburgh Steelers and Baltimore Ravens brought in 17 million viewers while the zombie-filled hour of "The Walking Dead" pulled in 14.5 million. The tightrope walk itself went off without a hitch with Wallenda seamlessly gilding between the Windy City's notable buildings. The event was promoted by Discovery as a must-see live event in an ever growing world of delayed viewing. It was also a very social broadcast with many on Twitter (TWTR) following #SkyscraperLive.